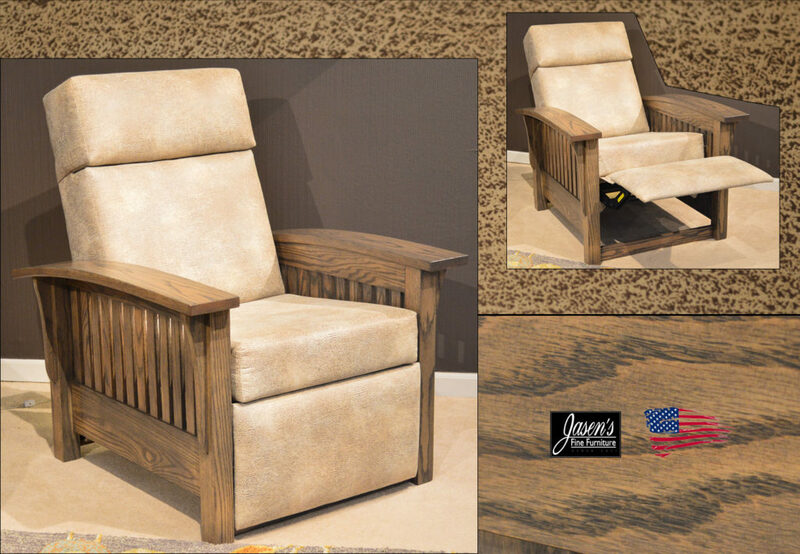 Amish Recliner features solid oak construction and lifetime enjoyment. The recliner features solid oak construction while the sturdy designer fabric has a leather-like appearance. The chair demonstrates old world style, yet a modern gray stain that’s sure to wow your guests. The recliner only uses the very best materials for it’s foam seating, mechanism, and coverings. Options for the chair while many are: the wood specie of your choice with any stain color, 100’s of fabrics, and dozens of leathers. Made in USA by real Amish craftsman with detail to every aspect from lumber selection to tailoring.